Image courtesy of The Homesick Texan. 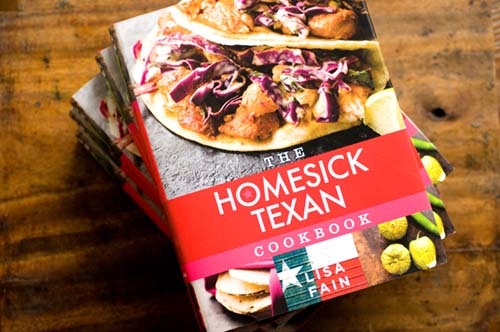 The first book from Lisa Fain, who pens the blog of the same name, The Homesick Texan Cookbook documents her pursuit to create good Texan food in New York City. Fain masterfully recreates the flavors and tastes from her traditional Texas cuisine. Texas expatriate or not, this book lets you experience the comforts of home-cooked Texan food.